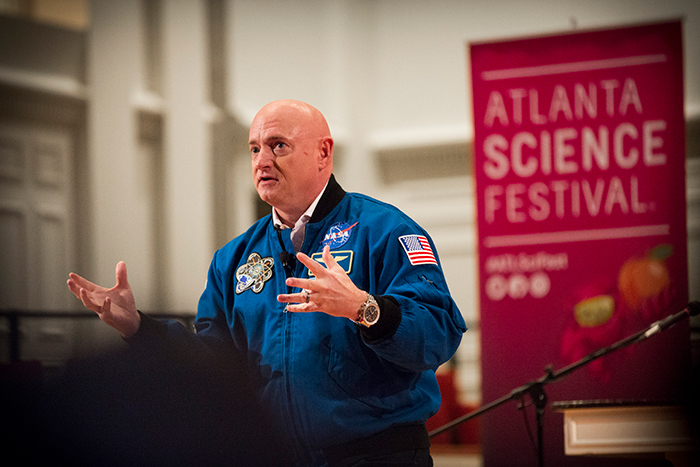 The Atlanta Science Festival began March 14 as astronaut Mark Kelly drew crowds to Glenn Memorial Auditorium. 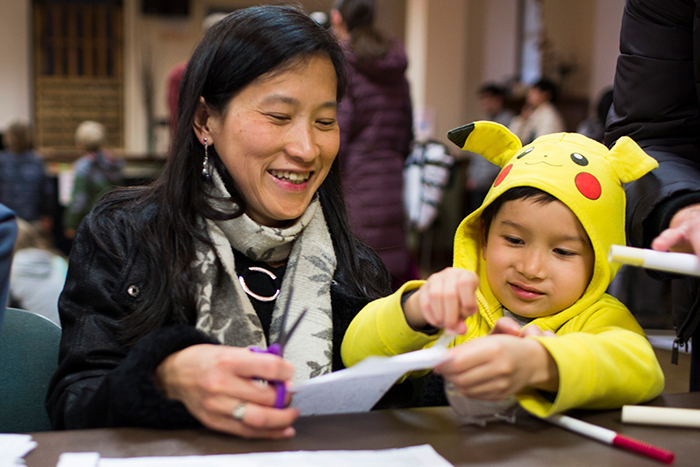 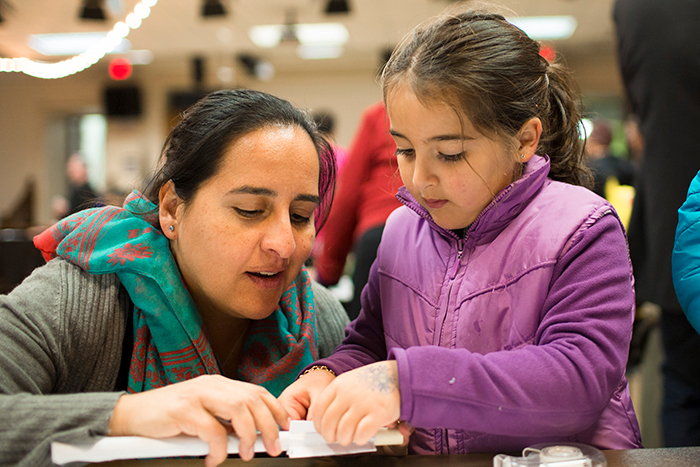 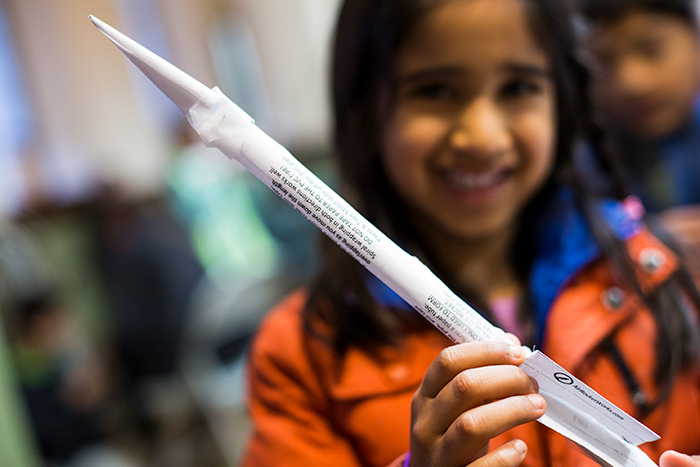 Before Kelly's address, kids enjoyed a variety of hands-on activities focused on rocketry. 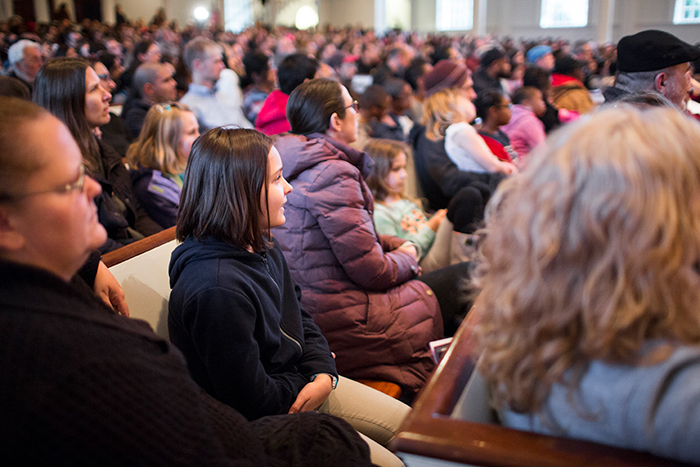 The Atlanta Science Festival got underway March 14 as astronaut Mark Kelly drew crowds to Emory's Glenn Memorial Auditorium to hear tales from his missions with NASA, including living on the international space station and commanding the last flight of Space Shuttle Endeavor. 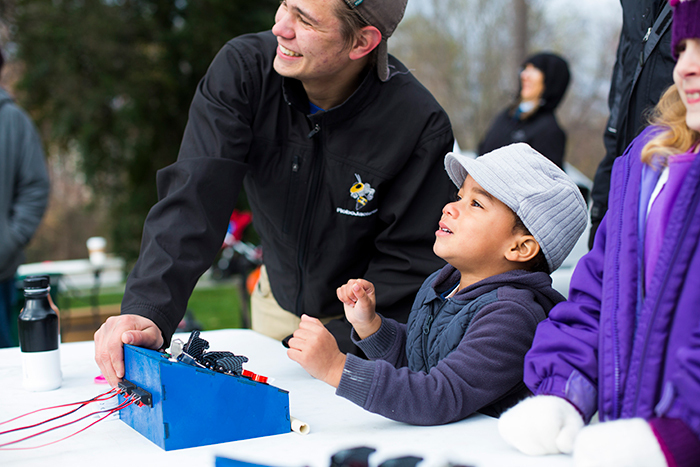 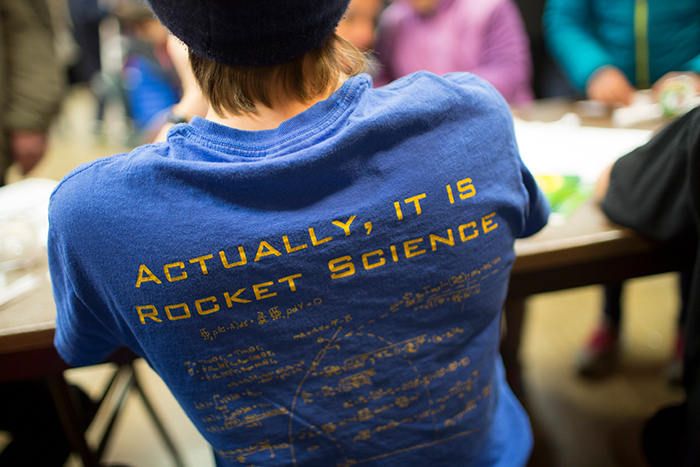 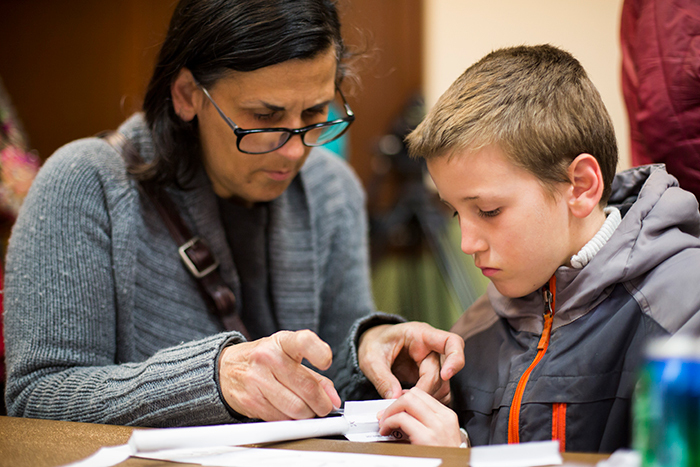 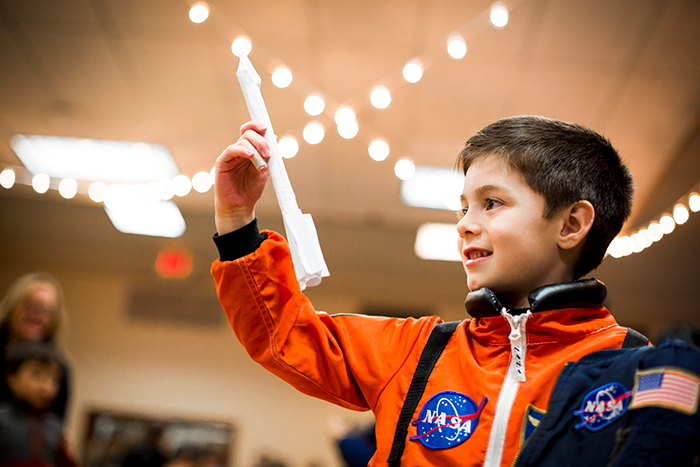 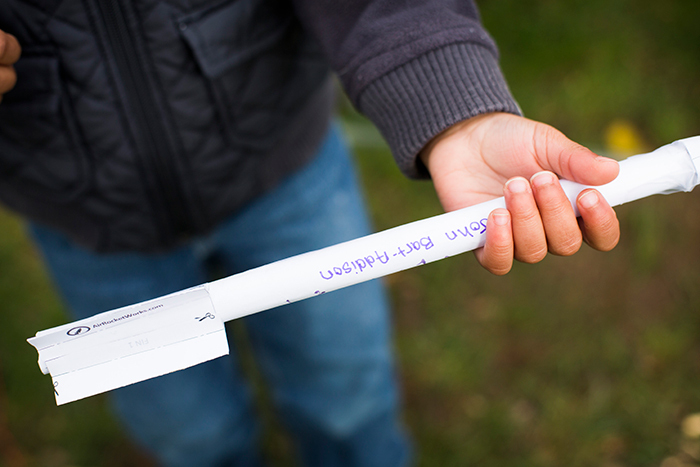 Prior to Kelly's keynote address, children braved a cold snap to launch model rockets on the lawn and headed indoors for more hands-on activities. 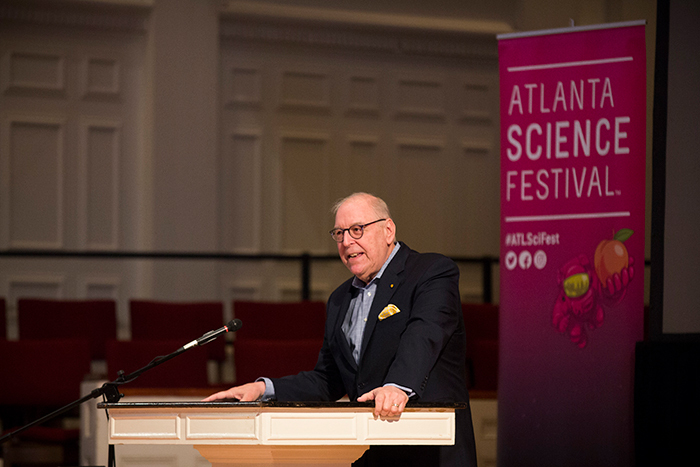 The Atlanta Science Festival continues through March 25 with a diverse slate of events at Emory and throughout the city. 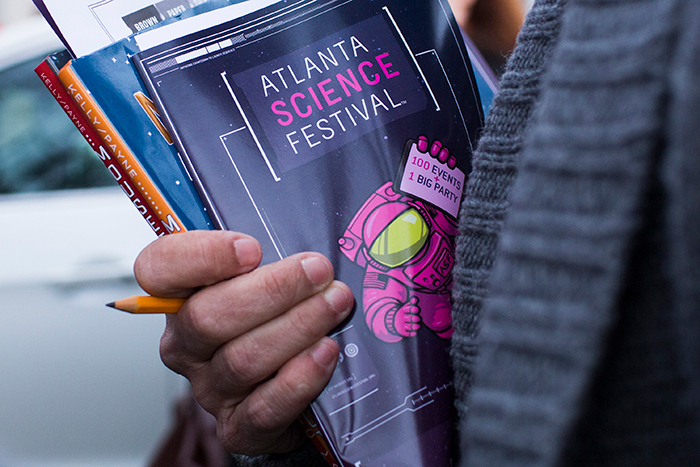 About 20,000 visitors are expected for the festival’s culminating event, the Exploration Expo, from 11 a.m. to 4 p.m. on Saturday at Centennial Olympic Park. 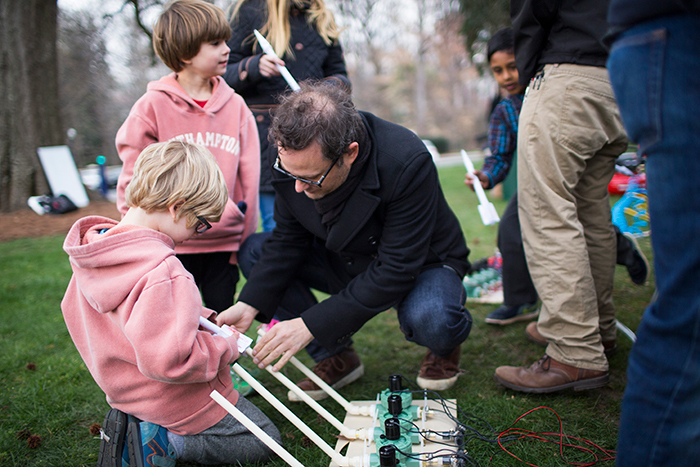 Around 100 interactive exhibits will delight curious minds of all ages, from Emory chemist’s Doug Mulford’s “Ping Pong Big Bang” to the immersive Google Village experience. 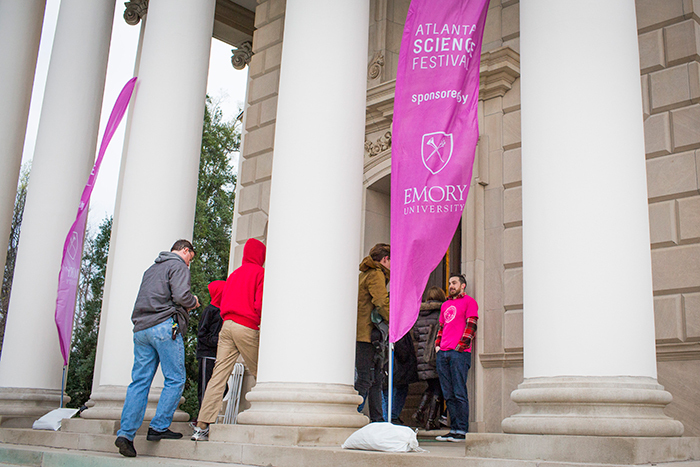 Leading sponsors of this year’s Atlanta Science Festival include Emory, Georgia Tech, the Metro Atlanta Chamber of Commerce, Delta Air Lines and Google.